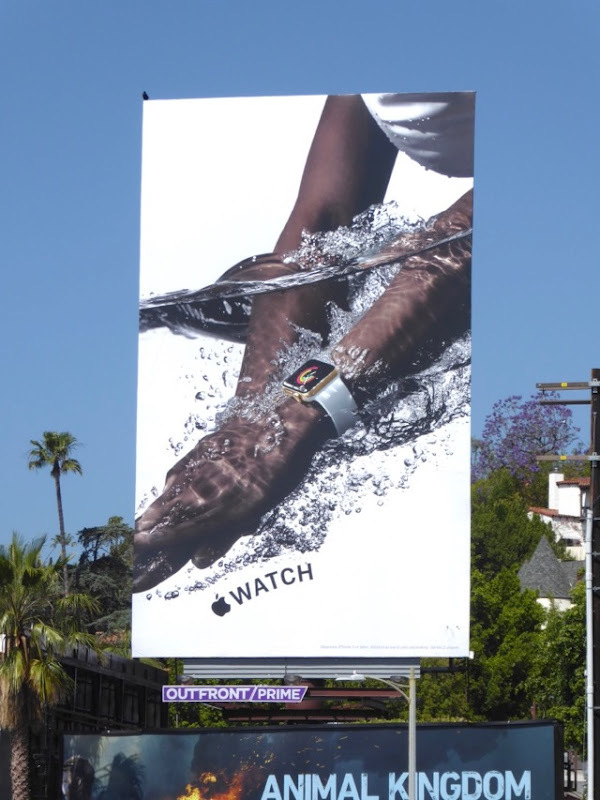 This May the streets and skies were flooded with fashionable and sporty new ad creatives for the Apple Watch Series 2. 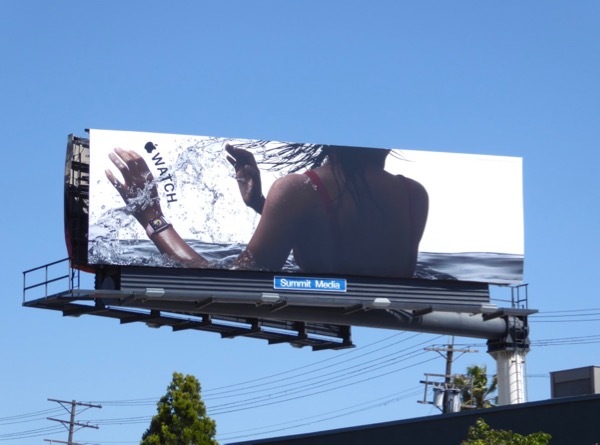 Refreshing the skyline once again after the recent all red iPhone 7 billboards, these outdoor ads feature human models sporting the smartwatch wither in their daily lives or fitness activities like jogging or swimming. 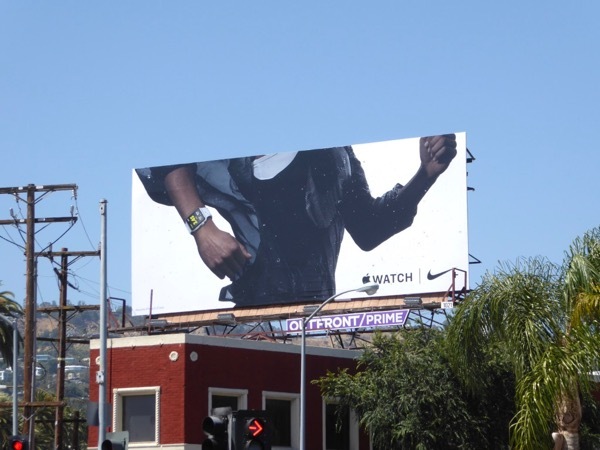 The Nike+ running model has a built-in GPS to track pace, distance and route, plus the Series 2 is water resistant to fifty metres, has a heart rate sensor and workout app. 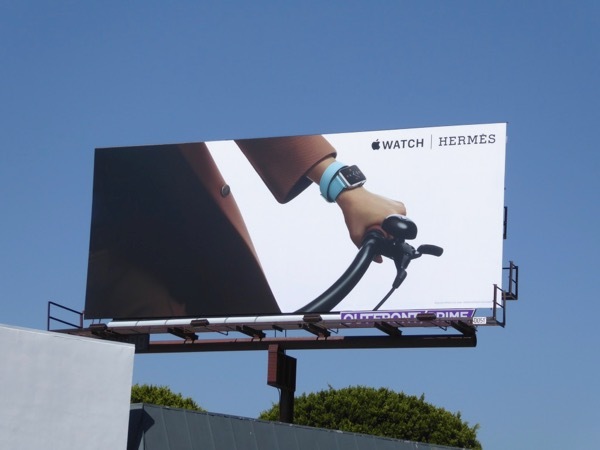 For fashionistas the Apple Watch has customisable watch faces, plus brand new band materials and colours, and a special collaboration with French luxury brand Hermès features iconic watch faces and extra-long leather band straps to double-wrap around your wrists and other stylish options. 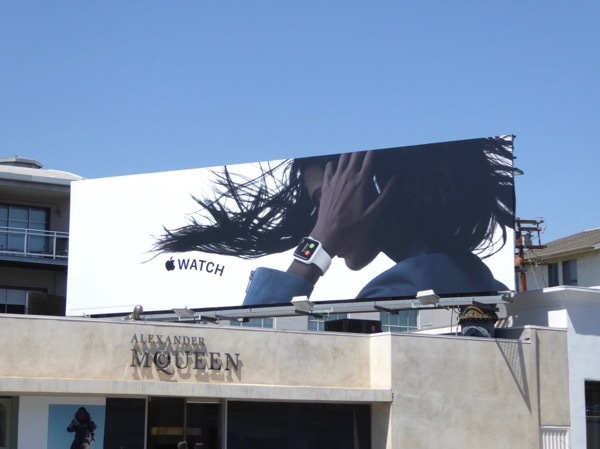 These new lifestyle Apple Watch billboards were photographed along the Sunset Strip, Beverly Boulevard, Bundy Drive, Melrose Avenue, Santa Monica Boulevard, Pico Boulevard and at Sunset & Vine on May 18, 2017. 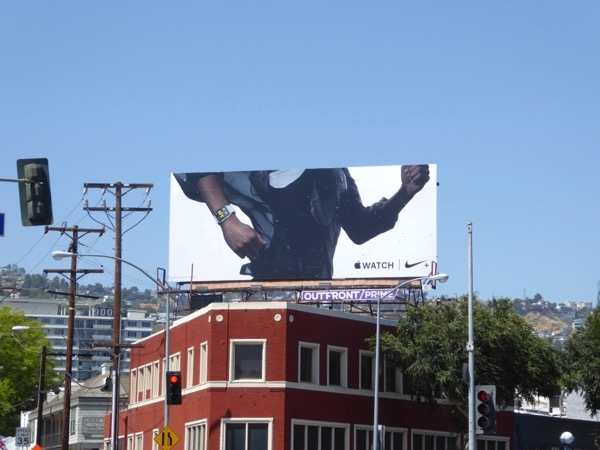 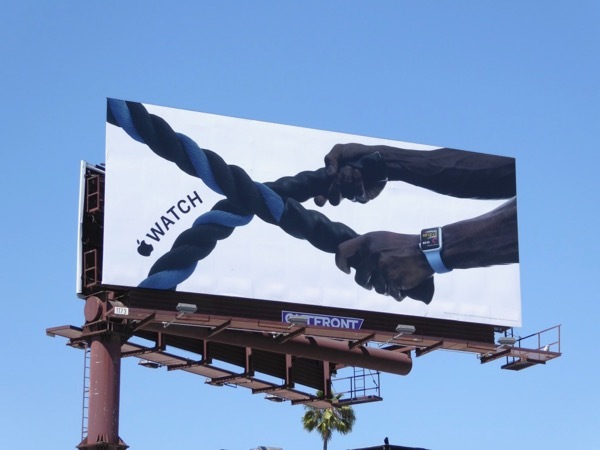 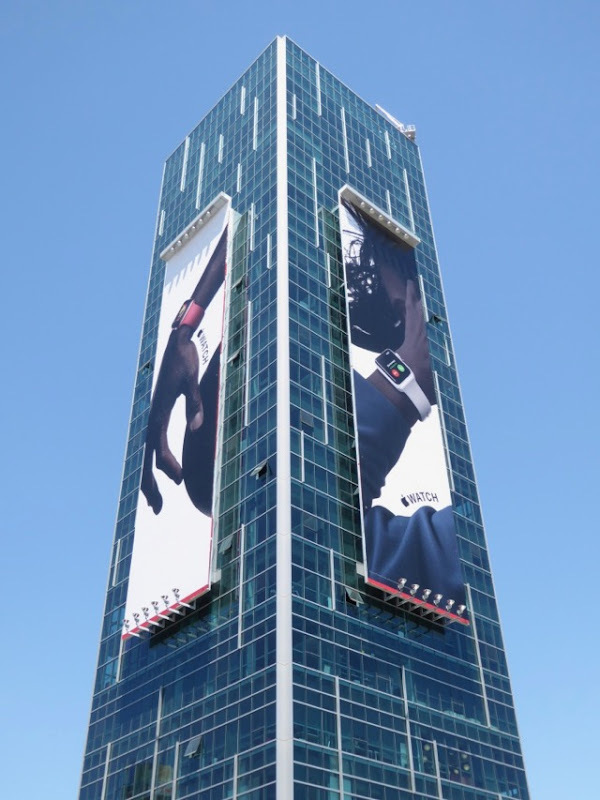 Be sure to also compare this new outdoor ad campaign to the previous product shot focused billboards for Apple Watch from 2015 and 2016. 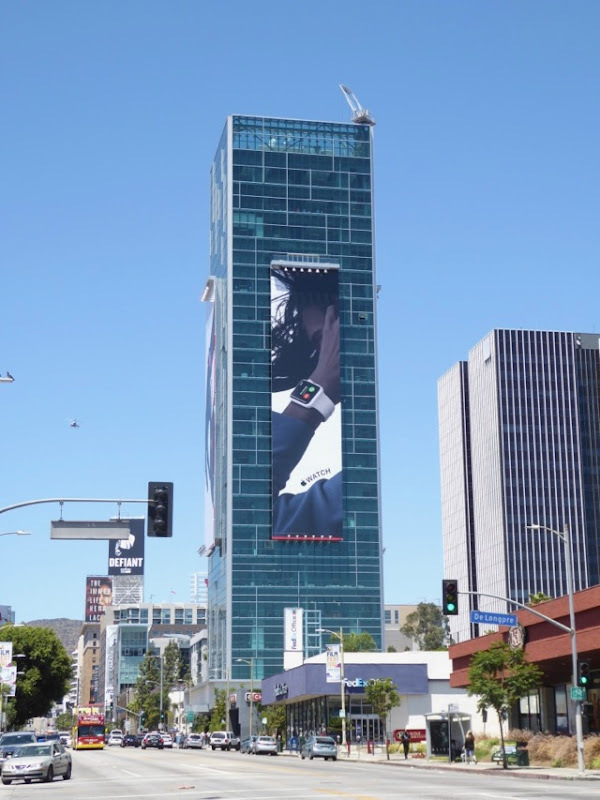 Apple doesn't officially publish sales volume and value statistics for its smartwatch, but it certainly seems to be performing well in the upscale wearables market. 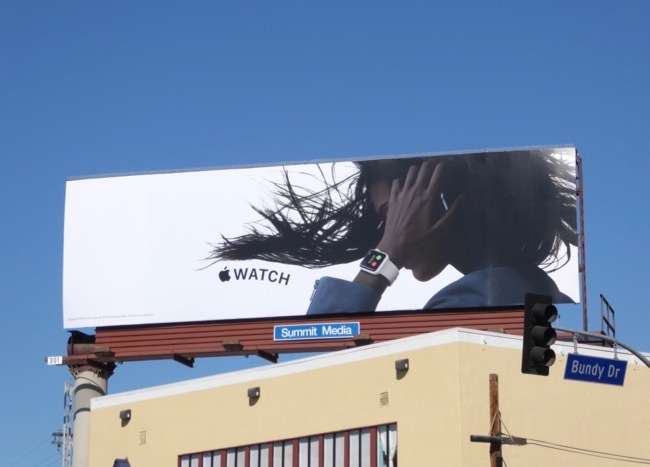 If you don't own one already, are you tempted by these fresh new billboards to try this stylish technological gadget? 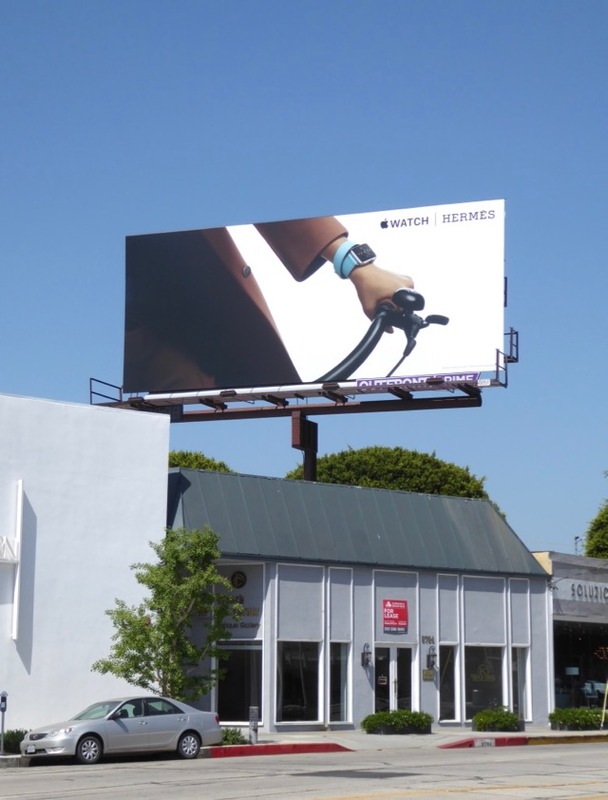 Whether it's looking chic, telling the time, keeping you connected, or achieving your fitness goals, who knows what you'll be able to use your Apple Watch for in the future, you know this is only the beginning. 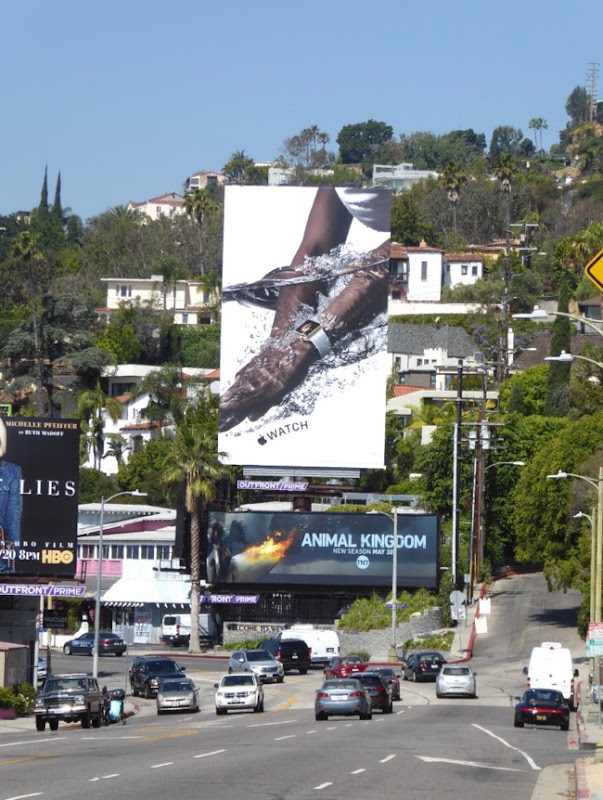 UPDATED: Here's also another cool, sporty billboard to appeal to fitness lovers snapped along Hollywood Boulevard on June 13, 2017. 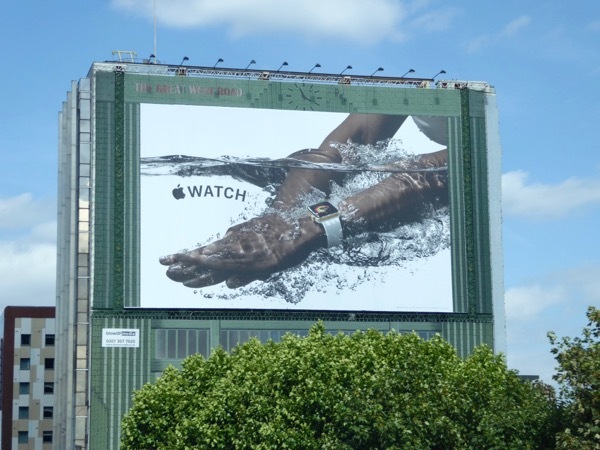 UPDATED: Here's also a giant-sized version of the water-themed ad creative spied in West London, U.K. on June 16, 2017.